Intrepid young adventurers (and their indulgent parents) brave the cold to race down snowy hillsides of Central Park in this charming illustration from the February 26, 1955, edition of The New Yorker. 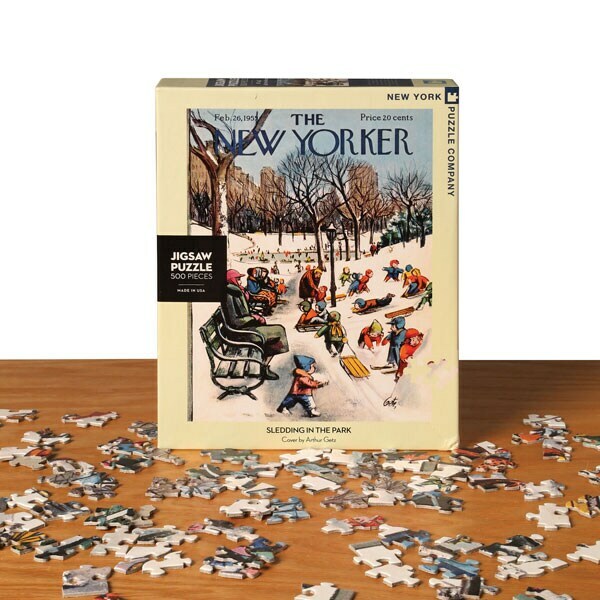 Artist Arthur Getz's image makes for a frosty yet fun 500-piece puzzle, perfect for those of us more inclined to spend bone-chilling winter days indoors! Measures 18"x24" when complete.